Suitable for use in peripheral devices in computing systems such as a thermal printer or bar-code scanner, GlobTek's GT-21131-7224 switchmode power supplies qualifies as a Limited Power Source (LPS) for ITE systems. Delivering a single output of 24V from a universal input, the convection-cooled device measures 141 x 76 x 43 mm and comes in a polycarbonate non-vented case. 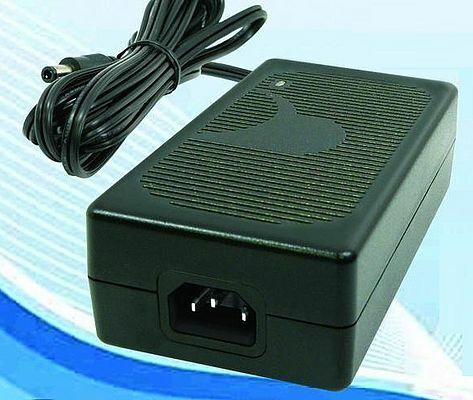 Additional features of the power supply include an output regulation of ±5%, a line voltage regulation of ±1% at full load, and an output ripple voltage of ±1% or 50mV (whichever is greater). Turn-on/turn-off overshoot is 5% maximum, with a hold-up time of 10ms at nominal input and full load. Approvals include UL 60950, CUL to 22.2 NO. 60950, TUV to EN60950, PSE TO J60950, CE, CLASS I, AS/NZ TO 60950-1, C-TICK TO CISP22:2006, CCC to GB4943-2001, GB9254-1998, and GB17625.1-2003. The power supply also complies with EN55022 CLASS B AND FCC PART 15 CLASS B.